Bring the party home with our wide variety of colored cryogenics. Make those important entrances a true spectacle by deploying strategic cryogenics effects or disappear into the billowing that’ll leave your audience in awe. 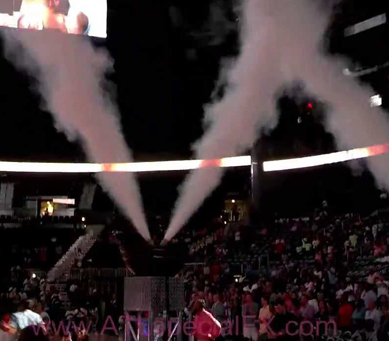 Our wide variety of cyro and fog effects will help you lend a professional air to all your parties. Better still, our bespoke packages gives us utter flexibility allowing us to cater for different party sizes or budgets. Our cyro-fog plays with the natural air humidity to produce super cool fog effects. This will always result into non-toxic and non-flammable fog effects meaning that you can safely combine your cryogenics & fog effects with other party decorations like fireworks and flamethrowers. Since our cryogenics are just cool and they convert the moisture in the air into fog, it is safe to use indoors since it will fade off once the air warms up. You can always count on our highly skilled cryogenics and fog team to deploy precise clouds of fog and clear them at the opportune moment. Our firm control over the resulting fog will let you transition from one part of the event to another quickly without breaking character. Moreover, our team knows how to use the lighting to create colored fog. This approach is more affordable and ecofriendly. It doesn’t matter what your party logistics and needs are. It could be a small indoor party or a huge outdoor event with a long catwalk. Whatever it is, you can always count on our mastery of cryogenics to deploy the right effects that will set the mood just right. Our varied delivery and deployment channels create equal flexibility in budget and deployment. You can always choose the cryogenics combination that suits your budget. We will always ensure that all our cryogenics and fog equipment is operational and safety tested. We believe in making your party fun and memorable. Our team of experts know how important it is to follow all the safety rules. You will not have to worry about who is exposed to the equipment. Our fog effects rage from massive ice-explosions that will yield massive white clouds that will leave the visitors exhilarated, to slow undulating ground fog that is perfect for graceful entrances and exits. Combine this with perfect light plays or flamethrower effects and you’ll have the perfect party effects that will take the fun to the maximum. Your imagination is the only limit. Get in touch with us today and learn more about our cryo-fog solutions. Don’t let your assumptions and fears limit the fun. Let our expert cryogenics and fog experts help you add some magic to your celebration. Call us in the moment you begin planning your party. We will take in your event’s details and help you choose the perfect venue for the right cryogenics effect. Moreover, you also stand a chance to deploy an affordable party decoration package that spans across a wide range of services, from cryogenics to fireworks and flame effects, and to much more.